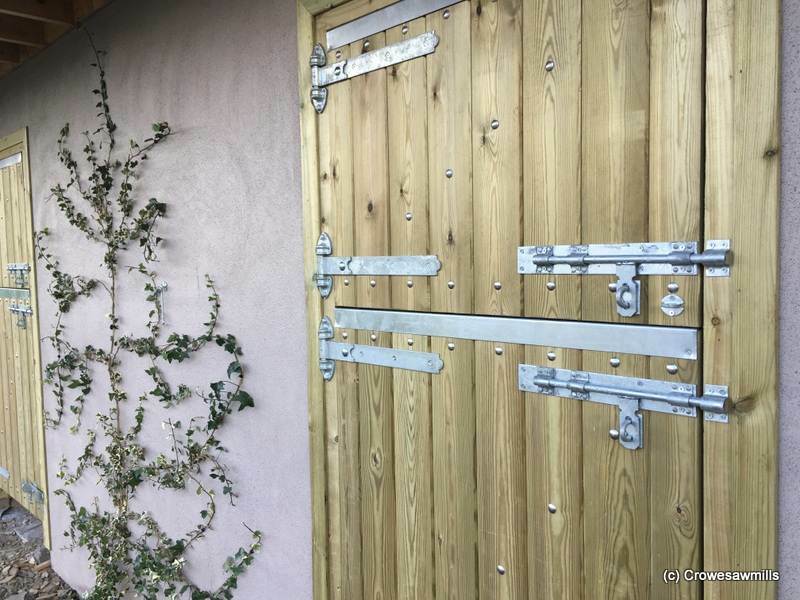 Double Doors 2.1m wide x 2.4m high made from Swedish redwood, galvanised fittings & stainless steel bolts. Ledged and braced with galvanised sheet fitted to rear of door. 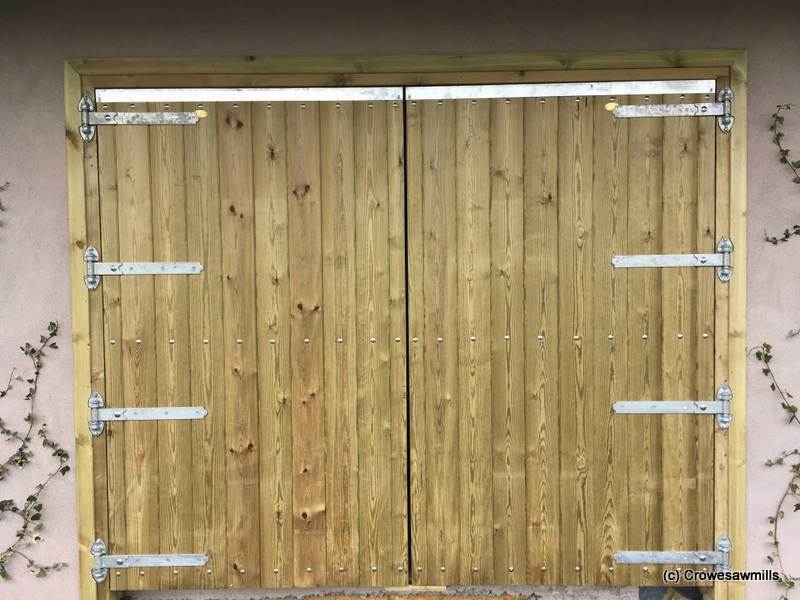 Tackroom Door– 900 x 2.1m high, made from Swedish Redwood. 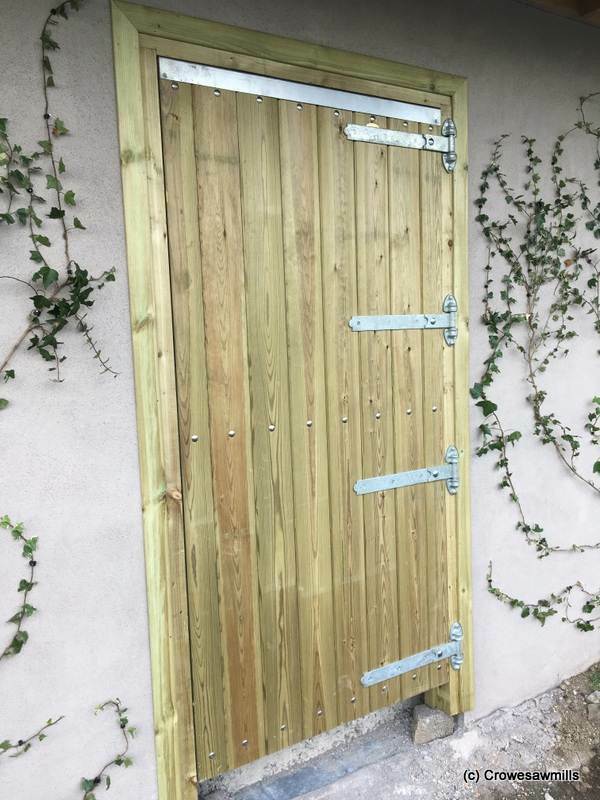 Single Stable Door-made from Swedish Redwood using galvanised hinges & fittings.